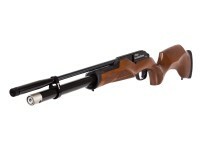 The Walther MaximaThor PCP air rifle is built for hunting impact and incorporates the proven expertise of Walther's engineers. 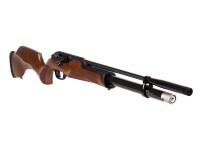 This multi-shot powerhouse delivers up to 44 foot pounds of energy per shot in .22 caliber, at velocities of 1,260 fps. More than enough to take care of your varmint hunting needs! The MaximaThor features a Lothar Walther barrel with 1/2-inch UNF threads for adding a silencer, and an 8-round rotary magazine that delivers pellets efficiently into the barrel. This results in very precise long range shooting with only a slight reduction in speed. The reservoir incorporates a pressure gauge for your convenience. The beautifully crafted hardwood Minelli stock has a checkered grip and forearm, and an ambidextrous cheekpiece that fits comfortably against your cheek. The soft recoil pad is an added bonus for shooting comfort, and the adjustable match trigger is the icing on the cake! Things I would have changed: The things that would changes don't advertise energy factors you can't achieve without knowing what pallet they used. Things I liked: Excellent quality, the Minelli stock is beautiful, the power house regulated has plenty of power! It is incredible accurate like the Rotek R8 I also own. Fantastic for hunting, the trigger if fantastic too and it comes with the attachment for the strap. A little on the heavy side, I replaced the dummy counterweight for a moderator and now is very quiet. Things I would have changed: It comes with only one aluminum magazine, the plastic ones that you can buy in USA they really don't work good at all. 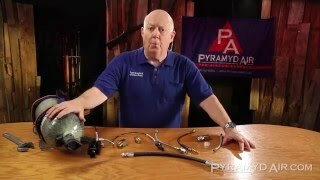 What others should know: Heavy but incredible accurate and beautiful, great value!! Things I liked: Beautiful craftmanship. This rifle is very well made, the bluing is top quality, the stock is graceful. Power. This rifle puts out some serious power. It .25 it packs a punch. The trigger is smooth, I still haven't played with adjustments, but right out of the box it is smooth. it does not break quite a crisp as I like, but I am sure some adjustment will fix this. The safety is also really easy to use. 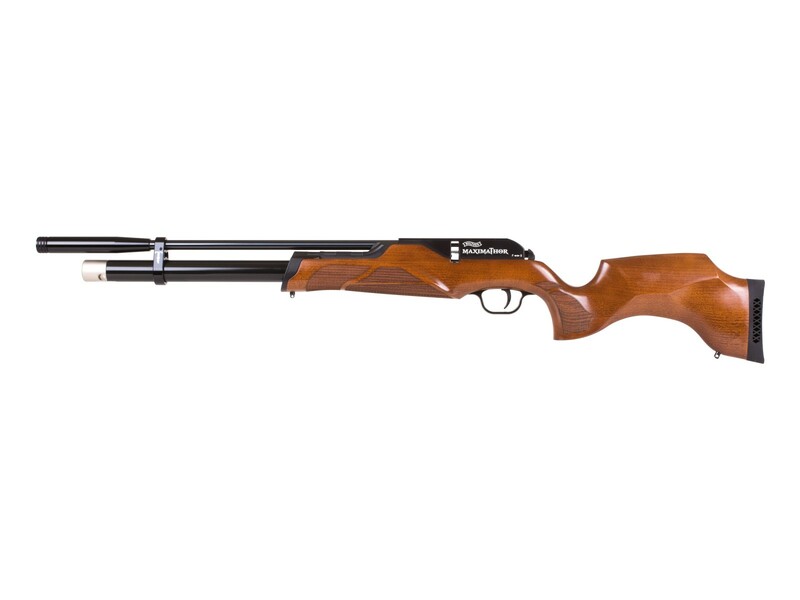 Most air guns have somewhat awkward or annoying safeties, but this one is very well made and easy to operate. Things I would have changed: add a shroud. Can't all of the manufacturer's agree on a single sized fill probe. This rifle has yet another size fill probe. It would be nice to either be a foster fitting or standardized fill probe. What others should know: So far accuracy seems good, but I need to get tests done at 25 and 50 yards to be able to comment for sure. Spare magazines are so far impossible to get. I contacted Umarex directly and they are out of stock and cannot back order them. Eventually I hope extra magazines will be available, but not now. The barrel is threaded 1/2 x 20 so adding a after market shroud or if you are lucky enough to live in a free state where you can own suppressors that would be a nice addition. I own a few airguns including most of the major manufacturers M-rods, hatsan, Kral, air force, Anschutz, Feinwerkbau and others and this rifle so far has the best bluing of any of them. Also fit and finish is immaculate too. The other airguns I have all shoot and have their plusses, etc. 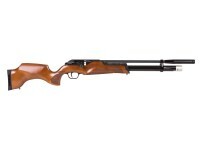 but this gun so far is one of the most classy and refined, especially for its price point. This is definitely a sleeper as it is nowhere near as popular as Mrods or others, but it gets my thumbs up. How many useful shots per fill and is this regulated? how loud is the gun?